Well September has not been as crazy of a reading month as I hoped, but I’d say it’s been quality over quantity because I have read some excellent books so far this month! My Not So Perfect Life by Sophie Kinsella is cute partly romantic comedy about an English country girl, Katie Brenner, who moves to London to pursue advertising, but the life is not nearly as glamorous as she imagined. Just when it seems like things might take a turn for the better, her boss fires her, and Katie leaves to help her family set up a vacation business on their farm. Still, she hasn’t given up on her London dream, and when her boss turns up as a guest, this might be Katie’s chance to make things right…or have a little revenge. The last book I read by Kinsella was her YA debut, Finding Audrey, which was a lot more serious, so I had forgotten how funny and charming she can be. That said, I definitely agree with my friend Suzi--I picked up the book on her recommendation–the funnest bit happens right at the beginning of this novel. I actually listened to a lot of this book on audiobook, which I highly recommend, but that beginning portion was especially hilarious that way. This is a Kinsella novel and there is a love story mixed in, which is cute but not remarkable, but the most memorable relationship is definitely the one between Katie and her boss. 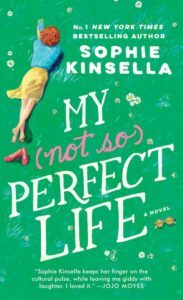 My Not So Perfect Life also convinced me I need to pick up more of Kinsella’s novels when I need a pick-me-up! Let me know if you have a recommendation for what to read next. 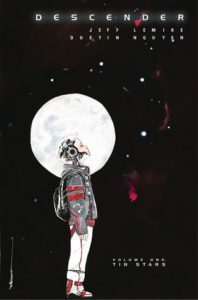 I’m definitely hooked on graphic novels now, so I decided to explore Descender Vol. 1: Tin Stars by Jeff Lemire and Dustin Nguyen, about a young robot TIM-21, who becomes very important in the decade after giant robots called Harvesters have devastated humanity and lead to an intergalactic robot cull. Despite being action-packed Descender Vol. 1: Tin Stars wasn’t quite as exciting as I anticipated, but the one thing that I did really love were the beautiful watercolour illustrations. While I’m not totally sold on the series, which doesn’t feel completely original–I have seen the robot feels human emotion storyline many times before–I did still sympathize with TIM-21, alone and scared and under siege. I may pick up Vol. 2: Machine Moon next time I’m looking for a graphic novel, or I may get distracted by another book instead. I am always really excited about a new Kelley Armstrong book so I am not sure how I ended up with 4 in my TBR pile but it was time to remedy that, starting with her young adult thriller, Missing. Missing by Kelley Armstrong is a story about Winter Crane, a teenage girl who lives in Reeve’s End in the middle of nowhere Kentucky where the best thing people can do for their future is to leave. That’s what Winter’s sister did, what her best friend did, and it’s exactly what Winter plans to do too. Then she finds a boy, Lennon, left for dead in the woods where she lives, but before she can figure out what he was doing there, Lennon goes missing. As always, Armstrong does a great job with the atmosphere and tension of Missing. The setting–a small town, a forest, a mansion–are all great creepy locales. The story also flows really well. Worth noting is that there is some graphic violence to animals. My main issue with the book is the fact that there is just not enough warning about the big reveal, the mystery was solved in a way which was sudden and not very satisfying to me. Winter is a mix of smart and fool-hardy, and she did some things I found really frustrating, but I still enjoyed her perspective and Armstrong’s writing. There’s a bit of romance in the book, and it was excellent. 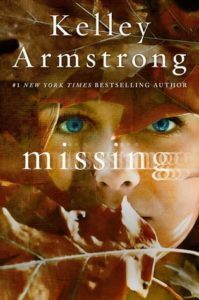 While it did have some issues, I definitely enjoyed Missing and I am excited to get to the remaining Armstrong books on my TBR soon. I really enjoy non-fiction books, but since they always take me longer to read, I end up not reaching for them as often as I’d like. 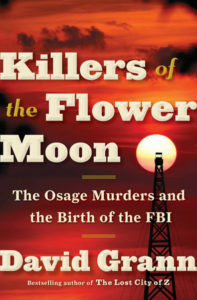 Fortunately, I decided to give Killers of the Flower Moon: The Osage Murders and the Birth of the FBI by David Grann a try, and it was just as intense and character-driven as any fiction novel might be. Killers of the Flower Moon tells the story of the Osage Indian Nation in Oklahoma, who were incredibly wealthy in the 1920s thanks to the oil beneath their land. But then they started to be murdered. With more than 24 Osage dead, the newly created FBI took up the case. In great detail Grann both retells and re-investigates the events surrounding the many murders. It is horrifying to read and realize how forgotten this story is. Not only that, but the “reign”, originally stated to occur from 1921-1926, was in fact much longer, and the victims numbered much greater than were ever recognized. There was so much corruption, it became so easy for murderers to roam free, and so many did. It is a sad reflection on the injustices that have occurred and the story is filled with American history regarding both the Osage and the FBI. The book also has plenty of historical photographs, which add to the story. Killers of the Flower Moon is expertly researched, but with Grann’s skill it also remains an engrossing and intense read. One of the best true crime books I have ever read, I highly recommend this book for both the content and the writing. 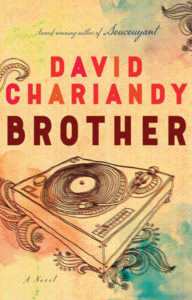 Brother by David Chariandy is a beautiful, emotional novel about two brothers growing up in Scarborough, Ontario in the early 90s. Michael is the younger brother, and the book is told from his perspective as he deals with a complicated and hard life. His mother, a Trinidadian immigrant, works long hours to try to give her sons a better life, while his brother, Francis, dreams of a future in music. But when Michael and Francis witness a violent shooting in their neighbourhood, their future changes irrevocably. Brother is a short novel, but every word is meaningful. Chariandy tackles difficult and important issues like race, immigration, masculinity, and family. This is a powerful read and an important book; it would not surprise me to see Brother on the literary award nomination lists, an honour it certainly deserves. Honestly, I would recommend picking up any of these books! So I really hope that September continues to be such a great reading month. I just had a couple new releases arrived that I’m really excited about so I’m hoping to finish up what I’ve got in progress so I can get to them. What have you been reading lately?